Norco was born in 1895 on the eastern coast of Australia, at idyllic Byron Bay. Its dairy farmers are proud of its history and committed to its future. 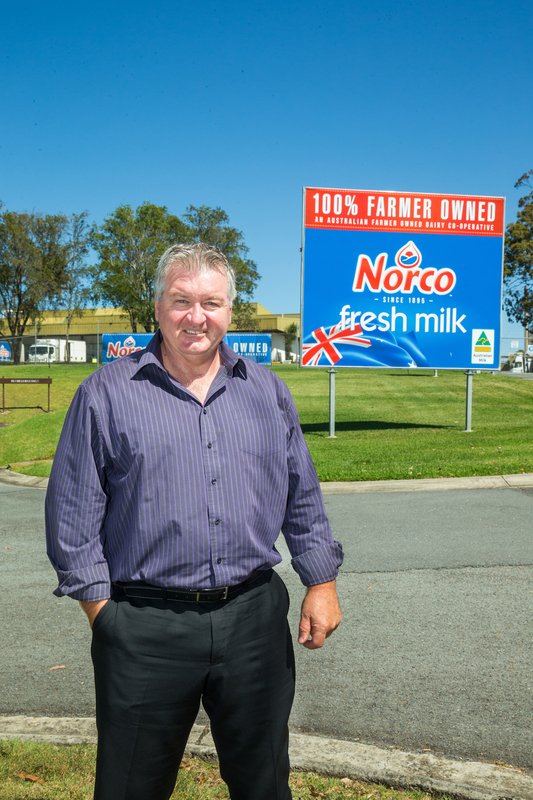 The North Coast Fresh Food & Cold Storage Co-operative Company Ltd (now known as Norco) was established by a group of Byron Bay farmers in 1895 and is still entirely owned by its Australian farmer members. “Our transparency is one of our advantages because what happens in this industry is that the farmers live and die by the farm gate prices. The moment you bring in external shareholders, quite rightly, they are looking to better their yield and return. We have no external shareholders so our members know we need to make enough for an acceptable profit to reinvest, but that everything we make above that goes back to them,” says Brett. Although Norco is proud to be a commercially savvy business that is expanding its global footprint and maintaining profitable relationships with major brands, Brett is pleased that there is still a strong sense of respect for the co-operative’s values, which centre on its heritage, legacy and care for the environment. Norco’s employees are dedicated to the work that has gone before them, with over 80 of them having been a part of the team for more than 20 years.